Five public radio stations across the country are changing the sound of public radio…with podcasts! 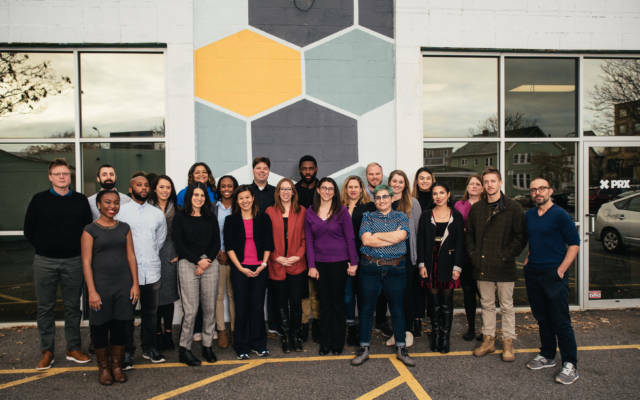 Our five teams – from Salt Lake City to Atlanta – will assemble for the culmination of a 20-week training to launch podcasts they’ve meticulously refined throughout the second round of PRX’s innovative podcast accelerator – Project Catapult. Maybe you’re interested in how one Indiana fertility doctor misled dozens of families, or how Southern Hip Hop has shaped the world. Perhaps you’d like to explore how ordinary people navigate faith and spiritual identity, or what the country can expect now that marijuana legalization seems to be the trend. Or maybe you just want to learn how to love and appreciate music from the perspective of a kid. There’s a little something for everyone! Join us and discover five new podcasts you’ll need to add to your queue in 2019! We want this event to be open and accessible to all audiences. Please contact [email protected] if the general admission ticket price is in any way prohibitive.